At Pentecost of 2015, Archbishop Aquila formally announced that the Archdiocesan of Denver will be moving toward restoring the order of the Sacraments of Initiation. 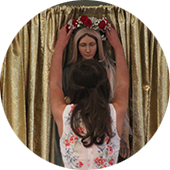 Here at St. Thomas More, Sacraments are prepared though the Church and preparations occurs concurrently with attendance at religious education classes. Sacramental Preparation at St. Thomas More is now a two year process which includes the reception of three Sacraments: Reconciliation, Eucharist and Confirmation.